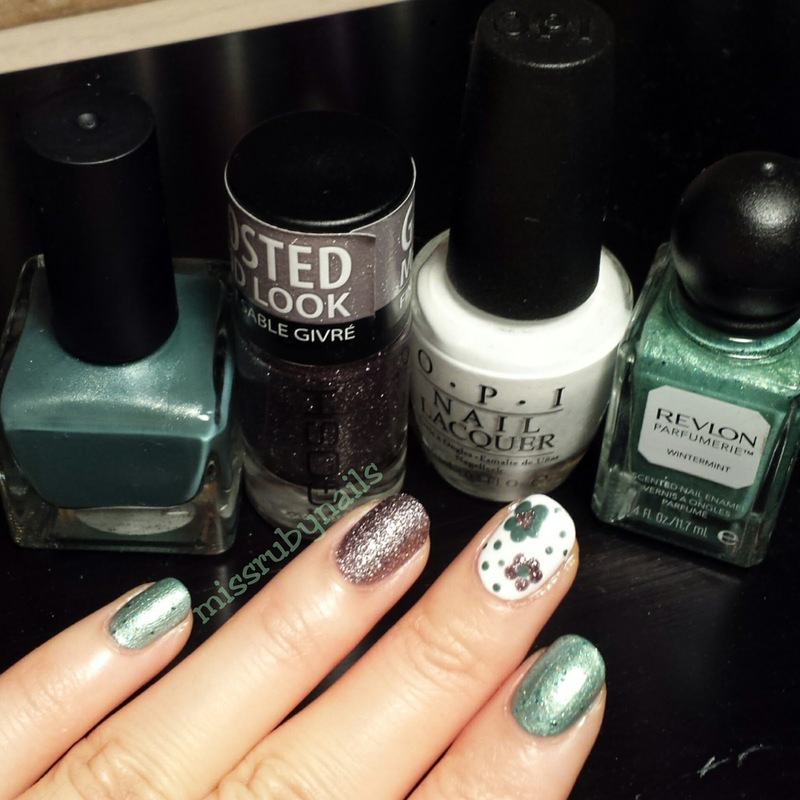 Here's a simple floral green glittery manicure using a combination of green and textured glitter polish. 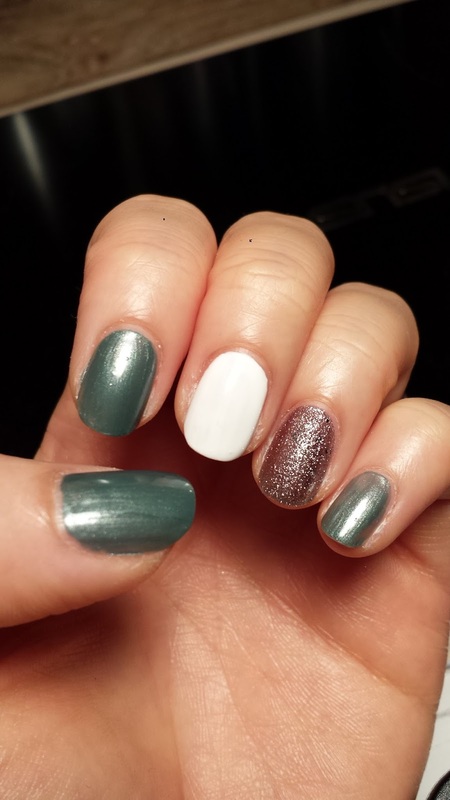 I used 2 coats for all colors as a base and painted the middle finger white. 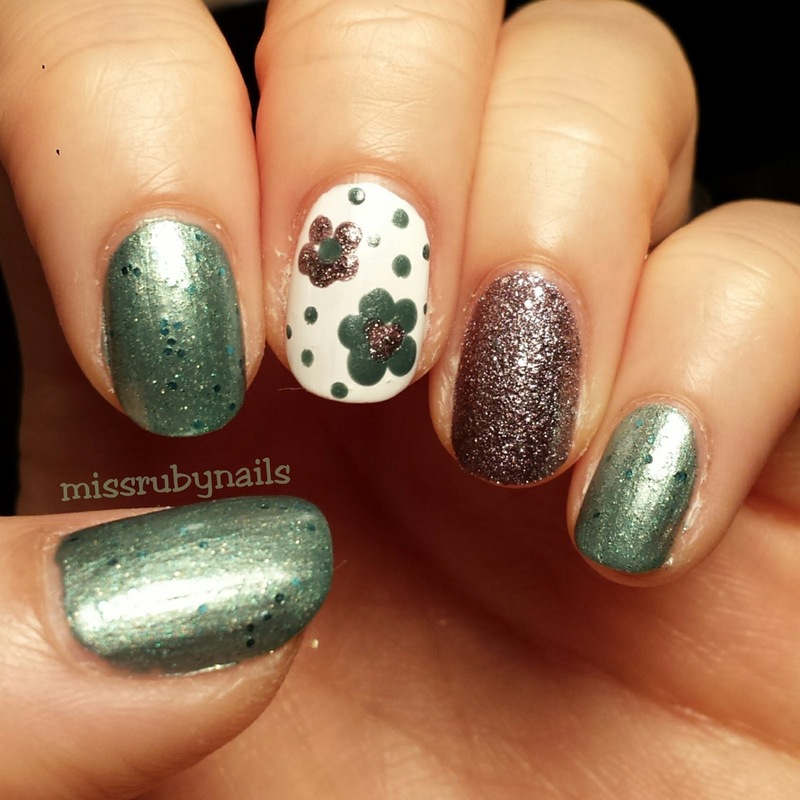 I then used the dotting tool to dot out the flower pedals on the white nail. I made a green and a grey flower and used the opposite color to dot as the center of the flower. Then I finished it off with smaller dots of green of the rest of the white background.